The ministry of Healing for the Nations is a 501(c)3 organization and is eligible to receive charitable contributions for its day to day as well as project specific operations. If you would like to make a one time donation or an online payment toward your retreat fees, please click the “PayPal” icon below and you will be redirected to our secure PayPal donation site. We have chosen to use PayPal due to its history of providing secure transactions both in the USA and abroad. The ministry of Healing for the Nations relies on the generosity of its monthly supporters. If you would like to be a part of seeing this ministry be able to reach more people, offer more retreat scholarships and the like, we would love to have you join our HFN Partners Team! Simply fill in the amount of your monthly donation below and hit the Enter key. You will be redirected to a secure PayPal site to enter your information. Add donation amount and press the “Enter” key. 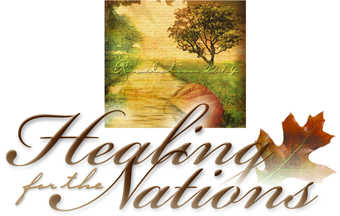 Thank you for considering Healing for the Nations in your yearly giving! JOIN US ON OUR NEXT JOURNEY!